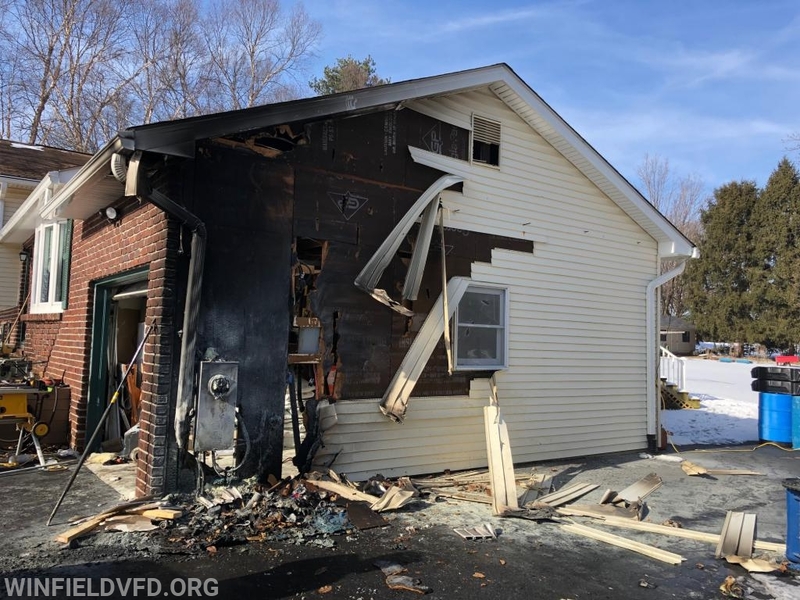 At 1:34pm units from Winfield and surrounding fire departments were alerted for a reported garage fire in the 600 Block of Blankner Road. 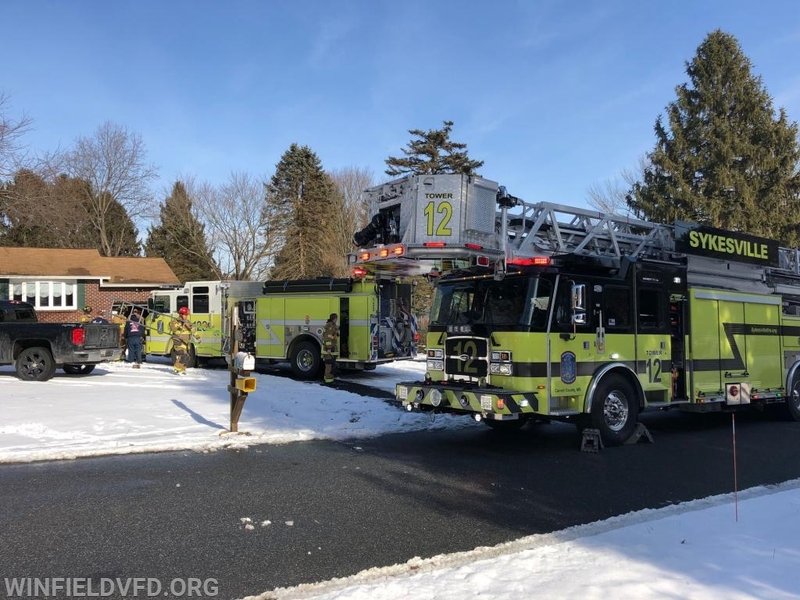 Sykesville's Engine 123 already on the street returning from a previous call was the first to arrive with smoke showing from the garage area of a single family dwelling. 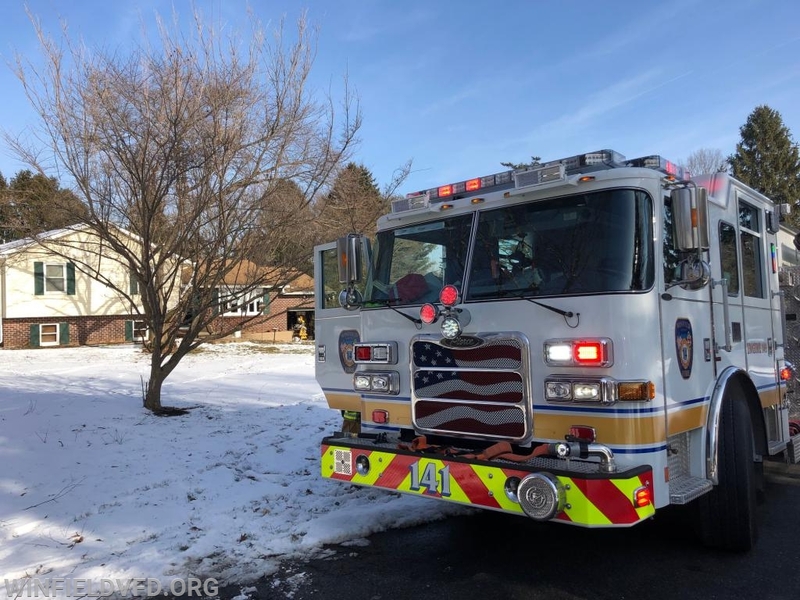 Chief 14 arrived (Davis) and established the command and requested the Rapid Intervention Dispatch (RID). 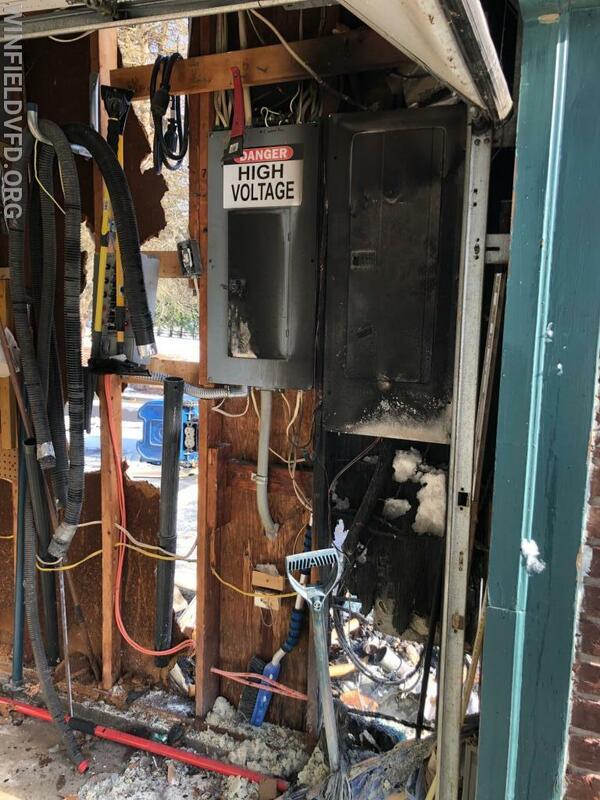 Firefighters from Winfield and Sykesville worked to extinguish the fire keeping it from spreading further into the structure. 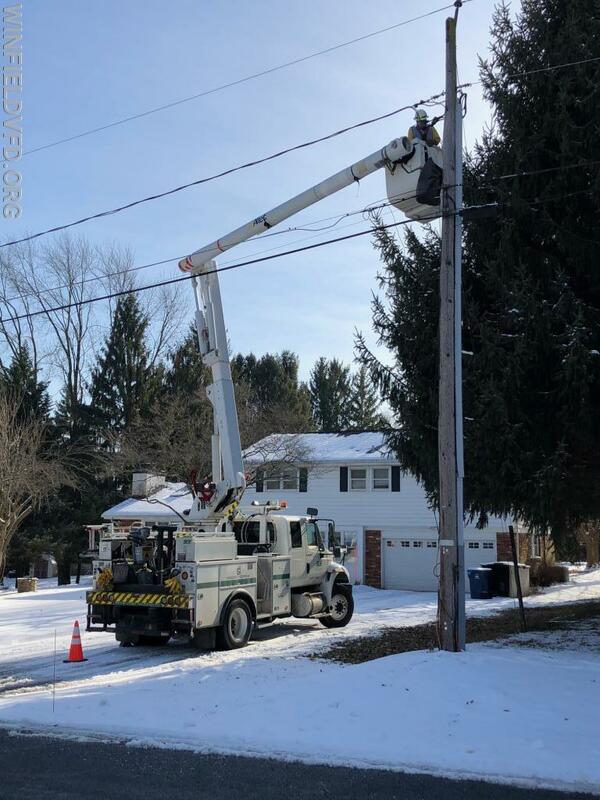 Crews remained on the scene awaiting BGE to disconnect power so additional overhaul could be performed. 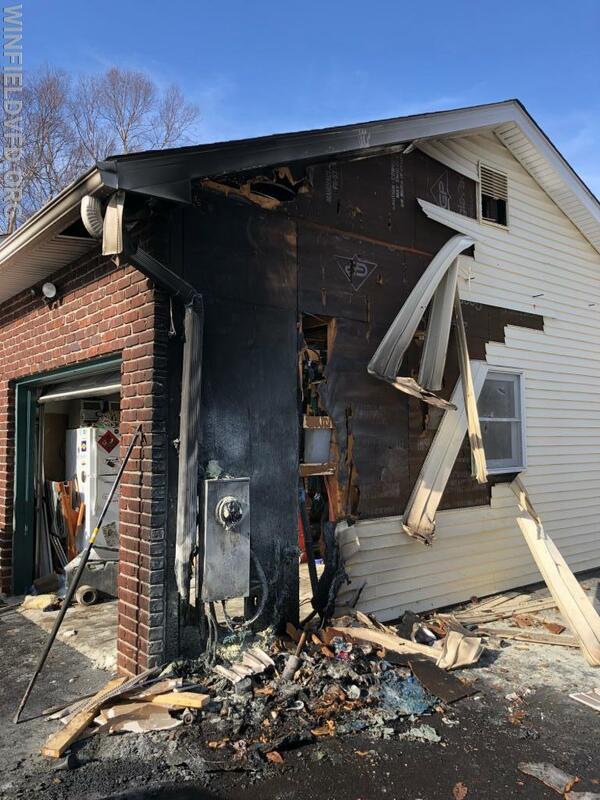 The fire started due to improperly discarded ashes from a pellet stove that were placed in a trashcan adjacent to the garage.